With Course Profiles in 18Birdies Community, you have in-depth access to your favorite courses. Check out a course's profile before playing to plan for future rounds by viewing course scorecards, GPS and more. 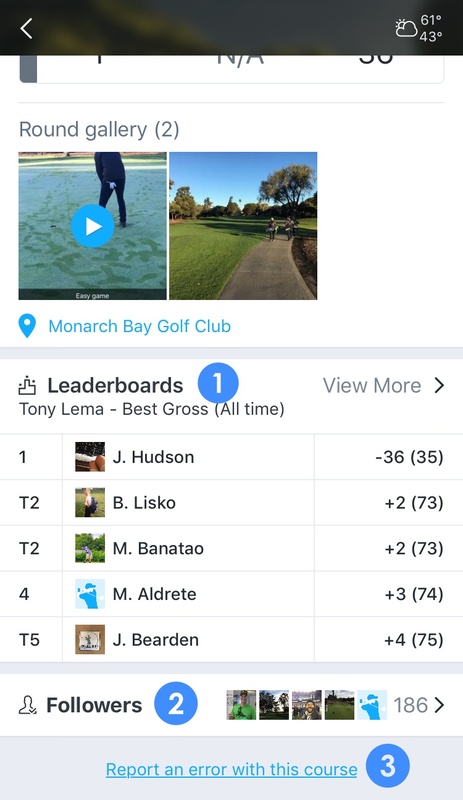 See how you rank against other 18Birdies golfers at a course and best of all, expand your golfing community by connecting with other 18Birdies users who have played or follow the same courses you play. Please see screenshots below with corresponding numbers to learn what each part of the Course Profile is. See pictures posted from other 18Birdies users at the course. 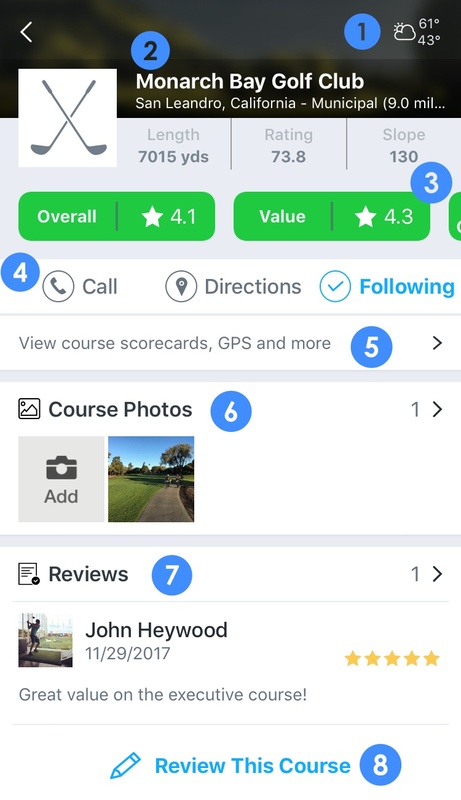 See what other 18Birdies users have to say about the course. Add your own take on the course! 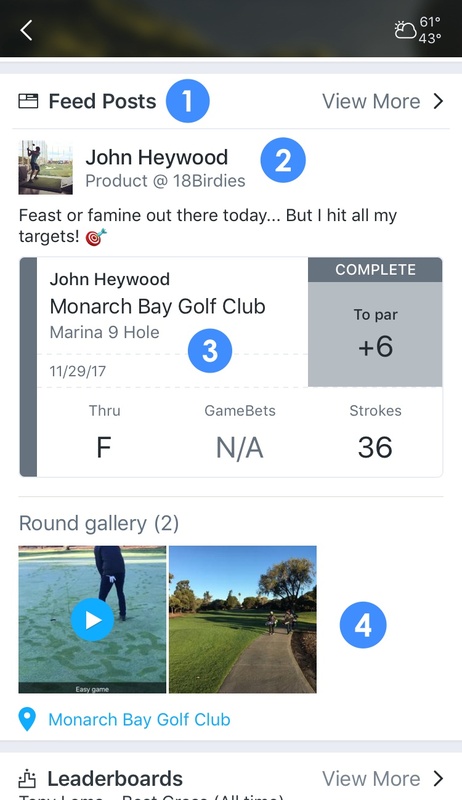 Directly from the Course Profile, you now have the ability to see every 18Birdies user post at that golf course. Use this to see how other 18Birdies users are playing the course. Like and comment on posts to get new golf buddies! Tap View More to see all posts at the golf course. Tap the user's name or picture to open that users profile. Tap the post message to open the original post. Tap the scorecard to open the Round Summary for that round. Tap a picture or video to open the Round Gallery.